When it comes to personal transformation, it is incredibly important that you get a sense of who it is you are right now, and who it is you are choosing or wanting to become or grow into. You need to make what I call those necessary connections in your life to move beyond (to transform) your current situation. What (or who) makes you the person you are? Why do you choose to live the way you do? Are you consciously aware of who you are, the decisions you make, and the things (stuff), brands, images and structures you attach yourself to? What do you need to do, and who do you need to become, to get your life more into alignment, to the person, and lifestyle, you truly want to experience? Take a moment to think about the labels that define you, the paradigms you live and work within, and the brand, and daily billboard that is you. How much of what you believe, what you value, and what you do, has congruence or meaning for you? Are you living authentically - a life that you feel reflects who it is you truly are? Knowing these things gets you closer to the personal transformation you may be seeking. Those labels and paradigms I speak of include; your gender, sexuality, workplace, the car you drive, the house you live in, your clothes, shoes, favourite brands, music, friends and associates, family, where you live, partner, political persuasion, religious or spiritual beliefs, your clubs, the school you attended, your assets, money etc etc. These labels and paradigms can liberate you and/or hold you back and restrict you. The question is how do these things serve you? Do they help you or hinder you in your endeavours towards transformation? Importantly how would you know anyway? The fact is that our subconscious mind is predominantly running the show and superimposing its beliefs and values over what is in effect a relative inept conscious mind. Renowned scientist Dr Bruce Lipton (Stem cell biologist and bestselling author of The Biology of Belief and recipient of the 2009 GOI Peace Award) states that; “The major problem is that people are aware of their conscious beliefs and behaviors, but not of subconscious beliefs and behaviors. Most people don’t even acknowledge that their subconscious mind is at play, when the fact is that the subconscious mind is a million times more powerful than the conscious mind and that we operate 95 to 99 percent of our lives from subconscious programs." Understanding this is the first step - doing something about it, or more to the point being someone about it, is the next. Coaching, and in particular Life Transformation Coaching, focuses on action in alignment with your beliefs and values. Are you starting to see the value perhaps, in exploring both your conscious, and subconscious beliefs, to better understand and calibrate your life? Mindfulness, meditation, introspection and self/spiritual exploration are great ways to start the journey towards you. Enlisting the help and guidance of a competent qualified life transformation coach is another effective way to further understand you. Having a coach as an accountability partner and a fellow co-creator can help you dig deeper and further understand what serves you and what doesn't. Transformation coaching is a great way to work on you in a totally supportive, friendly and professional space that is all about you. If you are genuinely seeking and aspiring to change and transform yourself, ensure that you are aware of these subconscious programs that are effectively (and not effectively) running on auto pilot. Identifying what you believe and why you believe it is incredibly powerful and liberating. Start becoming more aware of your thoughts and your behaviours. Are they in alignment with your beliefs and values? If not, its a sure sign that things need to change - or more to the point, you need to start getting curious and committed about being your best you. Are you curious about how coaching with me could help you with your own personal transformation? Simply go to the Home Page and the contact me tab to arrange an appointment, or to seek further information. Left To Our Own Devices – How Phoney Are Your Interpersonal Communication Skills? Todays world, and the people within it, are more connected than ever before. Our technology enables us to contact and communicate with others almost anytime and anywhere. The barriers to entry to use this technology are disappearing fast as most people nowadays can get access to this technology regardless of their financial position. Get FREE access to a full four-part video series showing you how to build a REAL $100K PER MONTH business leveraging the power of Amazon. Any opinion about the benefits and limitations I have is naturally limited, and in no small part due to my generation and my age. I accept and embrace this. Clearly I do not know what I do not know (there is a hint there for anyone wondering whether life coaching might be able to improve their life...) so with that knowledge/belief, I realise that I, most likely, do not make the connections or understandings to this technology like someone who was born into a world where these technologies already existed and were the norm. But I digress, the intention of this article is to get you thinking about your life and how you communicate to, and with, the people in your world. Our devices and our technology help us stay connected to each other. Let us not mistake that connection, or explain it away, as communicating with each other. These are two completely different things. We need to understand this difference to ensure we are living our lives more fully and with more awareness. Get My Book 'Confidence For Life' Right Here! Our devices, whatever the technology (newsfeeds or newspapers, books or ebooks) might be, can be obstacles to authentically communicating and connecting with the people in our lives. As always, awareness is the key. Are you having some challenges with your interpersonal communication skills with someone in your life? Perhaps a loved one or a co-worker? Maybe its a situation that has challenged you for sometime? Life Coaching with me (see what some of my clients say about coaching with me right here) can help you move closer towards managing, understanding, and moving on in - and through your life . Would you like to learn more about how coaching with me can help you in your life? Simply go to the contact me drop down menu and email me via the contact form to book a session. Want to ask a question or provide your thoughts about this article? Feel free to comment below the article, or you can email me directly. What Is Cocreation And Why The Cocreator Coach? What is this focus on cocreation that I have, and what is it with 'The Cocreator Coach' moniker that I have chosen anyway? These are questions that I get asked regularly - so regularly in fact, i've decided to write a blog about it! The fact is that in my coaching practice, cocreation acknowledges the partnership of working together. It is dependent on collaboration and cooperation. It rightfully assumes that it is a relationship based on equals. This is so important in the way I practice, and the way I live my life, as my intention is to ensure you enable and empower yourself to be the best expression of you that you choose to be. Gary Zukav (author of Seat of the Soul) has a wonderful definition of cocreation: "Co-creation occurs when individuals bring all that each can offer to a joint effort and at the same time, open themselves to a larger, or higher, idea that may not have previously occurred to them." For me this encapsulates so much about what I do as a coach. It accentuates my personal, professional and spiritual values. It also acknowledges that independent of the coach and client (or coachee), there is an energy, or as Gary Zukav states, a higher idea that may not have previously occurred to both parties. This is why coaching can be a powerful medium for a person to move towards a closer alignment to not only who it is they really are, but who it is they choose to become. One of the major impediments as I see it when a person chooses to see a professional, is the dynamic of the relationship between the expert and the client. There is a power imbalance. There is an assumption, real or imagined, that says the professional has the power and the answers for the client. As a result the client is given a service, advice, or direct instruction. Naturally this is something that works well for both parties in many situations as it is an agreed arrangement and an understood process or procedure. As an accredited coach, and one who places importance on the cocreation process, I see the client as the expert in their own life. I serve them - they do not serve me. My role is to help the client move forward in their life. For some clients this is initially challenging. Some are needing to further develop their confidence, self esteem, relationships and their work life balance. So the awareness and sensitivity required to work together for the best possible results for them, is also determined by their ability and their intention to embrace the opportunity - and my ability to facilitate that. It also requires them to understand that this coaching relationship dynamic is based on cocreation and a partnership of equals. Their experience (as mentioned earlier) as they have lived their life, may not reflect that they are in fact the expert in their own life....so cocreation, particularly with an expert, may be a completely new and challenging concept to them. The Cocreator Coach was my best way of not only presenting who it is I am, but importantly, it also demonstrated my professional approach and the way I like to work with people generally. Cocreation is the acknowledgement that possibilities and opportunities can present themselves at anytime or place in the coaching session - the very process of doing this can shift a persons sense of themself, and their personal self worth. When both the client and coach are open to this, and are truly working together, this cocreative energy can manifest or present itself in many different ways. As a coach, and indeed as a person, I trust this process - my clients generally learn to do that as well. 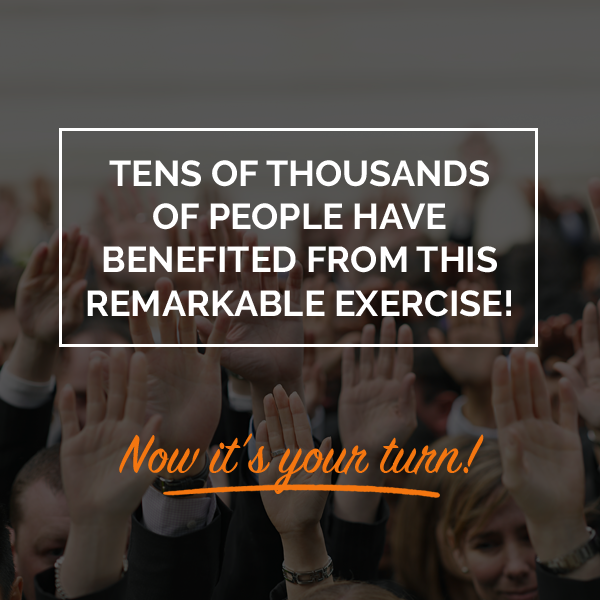 The question is; are you ready to take action, step up, and improve your life? Together, we can help you do that. Are you living in Hobart Tasmania? Take up my complimentary coaching offer. There is no obligation to continue - or sales pitches. Contact me to arrange your FREE information session to see how coaching can help you in your life. Personal Life Coaching – Do You Need it? The very question may automatically assume some conflict of interest, as a life transformation coach like myself, might naturally perhaps, encourage others towards the personal life coaching experience. Thankfully, and perhaps of some relief to you, I will not be promoting myself exclusively as your one stop shop, or must have solution to your life challenges and aspirations. What I do want to do though, is guide you towards a better understanding of why you may want to consider being coached, or more to the point, how you might benefit from it. There is so much information available these days - but information in and of itself is just that. Sometimes the best option is to get direct guidance to ensure you are on the right path and getting the results and outcomes in the best possible time. Many people, particularly busy people, don't have, or make the time to research information. Often they have a problem or challenge they want to find a solution for - and they want to do it quickly. As mentioned earlier, information is just that - information. Its not that valuable unless it is applied in a way where you can understand it, and then benefit from that understanding and application. From there you acquire knowledge and awareness. So much depends on the aspirations and values of the person looking to acquire this information. A coach assumes that people are their own best resource - that they themselves have the knowledge and the skills within themselves, to come to their own realisations and conclusions. But what happens if a person who starts this journey is unable to see their own sticking points, their own blind spots, their own shortcomings by doing this solo? Its an interesting question. There is no doubt that personal transformation and seeking knowledge is incredibly valuable - but what if that person needs to go beyond what they might be comfortably exploring or developing of their own intent and volition? And what if they don't know what that is? In coach speak, that is commonly referred to as a blind spot - these can cause a lot of problems for a person, and repeat patterns of behaviour. The sad and painful thing about that? They will keep on doing it until they become aware of them...if they ever do. There is also no doubt or question that acquiring knowledge and awareness is important. But will that ensure that a person seeking real answers, or solutions to their challenges or problems, gets to where they need to go to see real and lasting change? Theres an old adage that says that you don't know what you don't know. This is where a life coach can be very valuable indeed. Personal life coaching can take you beyond your own current limitations and expectations into new territory for growth, and inner exploration. "Are You Ready For A New Lifestyle? 4 FREE Training Videos And A Proven Business Model - Click Here"
The real value becomes clearer when you realise that your coach is merely helping you come to your own realisations - but in a way perhaps you could never have reached with a solely individual focus to inner discovery. To have someone there in your corner, prompting you, questioning you, and supporting you to further explore your world view, and ideas about life, can be a catalyst for exponential growth and life transformation. So do you need to be coached? That my friends is a choice only you can only decide for yourself - and a good coach wouldn't have it any other way. To find out more, or to book a session with me, simply go to the contact me drop down menu at the top of the page. I am currently living in Hobart Tasmania. *Craig Hedge is an accredited and credentialed coach based in Hobart, Tasmania, Australia. He is also the author of the Instinctive Living self development book series available on Amazon. It is not hard to see what people value in their lives. Generally speaking, what you spend your money on determines what you think is important. In simple speak, follow the money trail and all will be revealed. But what is value, and how is it valued? And what is a problem, and what determines the dollar spend to fix it? Is the problem or help required measurable - if so, what is the cost and the value actually measured by? Does the cost of help equal (or is it < or > than) the value that comes from it? What values or importance do we associate or equate the level of payment to fix a problem? Do we make the necessary connections that getting help, and benefiting from it, means a better quality of life on so many seen and unseen levels? Is it affordable - or more to the point, is it avoidable based on the consequences of doing nothing about it? What are the consequences if getting help or solving the problem is totally avoided? How long is a piece of string exactly ;)...? How tangible is the intangible...? From the questions above we can see that seeking help to fix, manage, or solve a problem is not straight forward. There are many variables, beliefs, opinions and values associated to requiring, and/or seeking, to get help for a real, imagined, or a perceived problem. Some areas of life that require help or the need for a problem to be fixed are simple, accepted, and straight forward. Often these problems are associated to our needs and what we deem to be not negotiables - these things are considered far too important to ignore as they would tangibly impact our quality of life. In other words we can quantify and measure what would happen if we did not fix them. If the car breaks down you get it fixed - if the price to repair it is too much you replace it. If you wear out a pair of shoes you buy another pair. If you get a leak in the roof of your house you get it repaired. If you need food you buy it. The above problems are dealt with in real time because they would cause us visible and measurable pain if we chose not to fix them. The outcomes of the above are self explanatory. There is a cost to solve these problems that is accepted - often with little if any questioning. Often they are fixed because to leave them would cause further pain or discomfort on some level. But what about getting help for the problems that are not that tangible (not a physical object or service for example), or the ones you can put off because they are considered to be not that important? Are there any bells ringing for you yet in relation to where your values really sit and what you are prepared to invest in getting help in your life? Is your car and the money you spend on it more valuable than your health? Is buying a new handbag more important than seeking help to manage/minimise the stress or baggage in your life? Is the next trip overseas to help ease/manage the conflict in your relationship, more important to you (both) than facing the fact that the real issue (let alone the cost emotionally and financially if the relationship fails..) is that you both need to focus on getting help and clarification on the relationship itself? Or is jealousy and conflict destroying your life, but you'd rather avoid it by shopping it away or blaming someone else for it...and not looking at yourself? The point I am making here is that the things (and people..) we truly value are evident in our lives for all to see. If we value our relationships it is demonstrated in the way we treat people. If we value ourselves it shows in how we treat ourselves. If we value or treasure something, we take the time to focus on it. Imagine if some people spent as much time on understanding their relationship as they did on understanding their next travel itinerary, or the assembly instructions for their new toy? No amount of glossing over a problem will make it disappear unless it is acknowledged, managed and embraced. Many of us are quick to fix a car, but will pay little conscious attention to fixing (read as improving) our relationships....or ourselves. We are quick to get away from the stress in our lives by taking a holiday, but fail to make the necessary connection that in a couple of weeks we will return to the same situations and feelings about them. Is that a smart way to live life, let alone a good use of time and resources? How much would you pay to fix or solve some of the problems you have been ignoring, putting into the too hard basket, or the someday I will look at it pile? To reframe that for you, how much have you spent already in avoiding your issues and not seeking help or guidance? In the famous words of Dr Phil; "How is that working for you?" How many holidays, or cars, or shopping sprees, pairs of shoes, (I recently spoke to a man whose wife had 141 pairs of shoes....yes he counted them!) new furniture, or accessories have you purchased already? "People were created to be loved. Things were created to be used. The reason why the world is in chaos is because things are being loved and people are being used." How much money do you estimate it may have cost you in avoiding to deal with these issues or problems? Trying to mask or buy your way out of a problem by spending money around it to avoid dealing directly with it will not make it go away. Any amount of spending sprees, holidays and new shiny things will only momentarily or temporarily take the focus off or away from them...or take your mind away from that problem. I love the words of Aristotle; "Wherever I go there I am." Your problems stay with you - until you face them and manage or solve them. Life transformation coaching with me is a powerful and effective way to develop your awareness in these areas and to find out what really matters in your life. At a fraction of the cost of buying up things to mask or avoid your problems, it might be time to invest that money in you! As always, it is your choice, and it is a decision based around what you truly value in your life. You can always change and improve your life - and coaching is an incredibly cost effective way to do it. To book a life coaching session with me, or to find out how being coached can help you, simply go to the contact me menu at the top of the page. Most people are familiar with, and indeed practice, negative self talk. It can be defined and exercised in any number of ways. In simple terms, it can be defined as using negative or self defeating language when referring to oneself, either in company, or when alone. Unlike positive thinking (my view on positive thinking is that the value of it is relative to the person and the level of self awareness they choose to exercise in their daily life....but that is another story) that is more of a conscious pursuit, negative self talk is often done spontaneously and habitually in response to a behaviour or action. The danger of this is it becomes, in effect, a negative thinking or negative affirmation as it is repeatedly used and reinforced. Regardless of the intention, the occasion, or the situation, the fact is that repeatedly saying or thinking something that negates who you are on any level of consciousness, is not a smart approach to building confidence or a healthy self image. "Why do I always stuff things up!" "I never remember to do that." "I have a slow metabolism that is why I am overweight." "I have a really bad temper." "Its not my fault that I have this problem its genetics." "Why do I always attract this kind of person?" "I never do any good at anything." The above is just a small snapshot of the self talk we subject ourselves (and others within earshot) to. Some might think its harmless enough - after all it is only words isn't it? Words and language have power. Besides, what your conscious might think is a bit of a joke or a throwaway line, your subconscious might think (or more to the point not think) otherwise. It will just soak up what it hears and feels. If you are saying it and feeling it, the chances are that you are experiencing it - in that moment, preceding it most likely with previous similar comments, and most definitely following it as you continue to negatively affirm these things. In short these words and personal affirmations (yes that is what they are - whether you like it or not) do not help or serve you. They hold you back, they limit you, and they tell you what, and who, you are not. So how do you start to get rid of this negative self talk, and how do you start re-programming your mind and being? Becoming aware of the fact that you do it in the first place. Picking up on the language and the usual negative sayings and adages you use in these situations. Start replacing the negative self talk and affirmations with more life affirming or supportive ones. Begin to use these newly chosen words and phrases as replacements for the negative ones. You can have some (or a lot of!) fun with this, so it need not be some serious and intense exercise that dictates you must say and do the right things all of the time. This is about becoming aware of ordinary self talk and behaviours, and choosing better alternatives in their place. It is about improvement - not perfection. As always, it is about accepting who you are and where you are in your life right now - being kind to yourself in other words. "I just seem to get better and better no matter what I seem to do." "This is pretty challenging - lucky i'm a patient person." "There are a lot of steps to go through here, just as well I have a great memory." "I seem to pick up things pretty quickly." "Lucky I have a fast metabolism." "I have heaps of time and energy for a relationship." "I am so fortunate I have so many great people around me." "I always seem to be pretty calm in these situations." If you are smart/focused enough, you will not only replace your existing negative self talk, language, and phrases, you will do it in a way where you maximise the benefit of it, by creating truly powerful replacement language and phrases that cover more than one positive attribute or behaviour. "A Home Based Business Opportunity - 4 FREE Training Video's - And 1,000's Of Successful People With Demonstrated Results - To Find Out More Click Here"
The language and the phrases you use in your daily life all have a certain level of power and meaning - for you. By acknowledging this, you start to make the connection in your life that what you say and how you say it can make a marked difference in your quality of life. Steps like these affirm that you are a creator in your life - and in your world. That is powerful. Do you want to become more aware of your negative self talk, your hidden beliefs, and the language that might be holding you back in your life? Do you want to improve the way you relate to yourself and others? Life transformation coaching with me can help you identify these things, so you can consciously choose to move beyond them. Quality of life gets down to the level of your self awareness and your want to create a better life. To book a coaching session/s, or to find out how coaching with me can help you, please go to the contact me menu at the top of the page to book your session today. Where do you go looking to find help or guidance in your life? Who would you go to see to guide you? Why do you, or why would you, choose to go to see them to help? Its questions like these that can stop people in their tracks, or simply get them to delay or totally avoid making a decision to seek some guidance in their life. It can be incredibly daunting, and indeed intimidating, for many people who are in genuine need of support in their lives to reach out to what is in effect a relative stranger. The world is full of experts and helping professions ready to step up and guide you along your journey. How do you find them? I have touched on this before (coaching questions and answers) as I have differentiated and distinguished coaching from some of the other helping professions (a generic term used to keep things simple here) to indicate the choices and the wide range of services available. One of the big issues and challenges, as I see it, is the unnecessary (not to be confused with necessary) use of industry and expert based jargon. That is, experts brand and seek to differentiate themselves and their services from other professionals and pseudo professionals in the marketplace. This often confuses clients. It can be challenging enough for someone seeking guidance to try to wade through the long list of professionals that might appeal to them, let alone further sift through subsets or categories within those approaches. As an example, there are many approaches within a field of expertise. Coaching, counselling and mentoring as just several profession examples, can literally have dozens of different models and methodologies that can be practised under those profession headings. In short it can be incredibly and unnecessarily confusing for a client just wanting some good old (or new) fashioned service! What can magnify the above is when a professional assumes a client/potential client will understand their explanations of what it is they do as they espouse, market, or persuade a client to take up their services. More often than not the industry language will form a part of this explanation - and often enough, the jargon involved will not be properly explained or discussed (let alone be understood). This is a disservice to the client. It is assumptions like these that can inhibit and negatively impact the relationship and the processes and outcomes involved. From a coaching perspective, the last sentence can magnify the differential in the relationship between the expert and the client. As a life coach, this is an area that I see and hear about all too often. I see the client as the expert, and an empowered one at that... but that is another topic and story for another day. The fact is that most people really don't know what their professional does, how they practice, and what it really means anyway. In simple speak the client is generally seeking to solve their problems, to stop the pain, to improve their life, and to get on with living - to find help in other words. How do I seek the change I am wanting or looking for? How do I find the right professional or service? How much control do I want a professional to have in this process? How much responsibility and engagement do I want to take in this process? How will I understand what it is they are saying? The above list puts you the client in a position of more power and control to find the help you need. There is more ownership and personal responsibility involved when you ask yourself (and when you ask professionals) these kinds of questions. It can also be a precursor to a stronger chance of success as you go about this process and these changes with a proactive switched on approach. A lot of helping professionals are simply not asked questions about how they practice, what it is they do, and why they do it. How do I know this? Because I am one of those people who ask! The response is usually; "I never get asked that question!" This brings us back to the world of jargon and how you can navigate your way through it. I hope you are making the connection that it is by asking questions and seeking clarification, that you will find help, and get the guidance that you require. If you do not understand the jargon or explanations of a prospective helping professional, then ask them to simplify it, or give you some examples of what they do, how they do it, and why they practice that way. Don't be surprised (because they might be based on my experience!) that they are surprised that you would ask them these questions - as mentioned earlier, many professionals simply do not get asked these things.. as it is assumed that they are experts. You are the expert in your life. That does not mean you know everything, nor does it mean that you do not require guidance or direct assistance at times. What it means is that you maintain a strong and healthy sense of yourself, and you empower yourself to seek that guidance, while maintaining a healthy sense of your self worth. In simple speak; not giving your power away to others simply because they are an expert - their expertise may not be what is best for you. Life coaching acknowledges that you are the expert in your life. Competent certified and credentialed life coaches will embrace these questions, as the coaching approach is centred around you being the expert in your life. It is a powerful, and indeed refreshing way to go about seeking guidance from a professional. It is what differentiates coaching from so many other helping professions and services. If you would like to find help in your life, and actively be part of the solution as the expert in your life, you can arrange a coaching session/s with me. Our sessions together are confidential, supportive, empowering and importantly, they are all about you. Simply go to the contact me form at the top of this page or via the link provided to arrange your coaching session today. Craig W. Hedge is an Professional Coach and Lifestyle Mentor based in Hobart (nipaluna), Tasmania, Australia. He is also the author of the Instinctive Living transformational self development book series available on Amazon. In the coaching world, identifying and understanding our various beliefs, is one of the key foundational principles and focus areas for personal change and awareness. Beliefs shape our world. They define who we are - importantly, they also define who we are not. They tell us what is supposedly or actually real - or unreal or unbelievable. They tell us who is right and who is wrong... or misguided perhaps. Beliefs are pathways to reality - that is, the reality we choose (consciously or otherwise...) to see and experience. Our beliefs can support us, or they can restrict and disempower us. Lets take a closer look at beliefs, and inparticular, lets look at belief traps. Any individual belief is a potential belief trap (a belief trap in simple terms is any belief that limits you or causes/creates conflict on an inner/outer level) - positive, neutral, or negative. The key here is to start becoming aware of your beliefs. Sounds easy enough doesn't it? After all we know what we believe in and why.... don't we? The fact is that many of us don't clearly understand or comprehend what we believe in, or why we believe in it. Further to that, many of us didn't consciously choose to believe what we believe in - these beliefs were passed down to us....or pushed onto us for that matter! We were born in to many of them, and for the most part, we picked up a majority of them on our way through life through our various social structures - a potential minefield of belief traps in amongst it all! “If you don’t change your beliefs, your life will be like this forever. But what does all this mean anyway, and does it really matter at the end of the day what we believe or not? It means a lot - and yes it matters! Our beliefs are like little boxes (paradigms) that help us formulate and make sense of our world. Importantly, we need beliefs to function and to make sense (create awareness) of ourselves and our world. Make no mistake though, the depth or intensity of our beliefs, can seriously impact our lives...for better or for worse. Our beliefs, more often than we know or are aware of, hold us back from experiencing the life and the conditions we could live and experience... if we were not so adamant or attached to them. Yes...belief traps right there! Think for a moment about what you believe to be true. Do you ever experience conflict (inner or outer) when you either express or reflect on your various beliefs, or apply them in your day to day living? Is there a particular area of your life where your beliefs are creating issues for you? Are any of these areas creating pain or conflict for you consistently? If so, is the problem really out there with a certain person or group...or is it coming from you and your particular belief about those people or groups? Why am I so attached to believing something, and do I really understand how or why I believe in it anyway? If these questions seem a bit vague or need some further context, have a think about what you believe around religion/spirituality, family, gender, sexuality, relationships and your workplace. The key here, as always, is to start becoming more aware of you. Becoming more aware of what you believe, and why you believe it, can help you to start (or to continue) seeing how your world and your place in it is based upon, and around, your various beliefs about it. Life Transformation Coaching is a great way to unearth and uncover some of those blind spots and hidden beliefs...belief traps... that may be sabotaging your life and holding you back from your potential and your capabilities. Just one disempowering belief could be ruining a potentially great relationship, or holding you back from that next career move. That one belief may be ruining your life and your opportunities. What is a revelation like that worth to you and your happiness? How might it change your life and your lifestyle? Are you aware of some of your own belief traps and how they are holding you back from living a better life? For some people, finding these hidden belief traps can completely transform their lives. If you would like to know more about how life coaching with me can help you in your life, please go to the contact me form at the top of the page to arrange a coaching session. *Craig Hedge is an Professional Coach and Lifestyle Mentor based in Hobart (nipaluna), Tasmania, Australia. He is also the author of the Instinctive Living self development book series available on Amazon. How many of us have looked back at some of the decisions we have made with a sense of regret, or with a feeling of what if, or if only? The fact is that most of us have, and do, experience some form of regret at some time. It is a very powerful emotion. The experience of regret can motivate us towards taking more considered actions in our lives when faced with similar situations - in other words it can be a potent, a powerful, and a very positive reference point and reminder in our lives. All too often regret is seen as a negative force and experience in our lives. For example it can paralyse us, hold us back from new experiences and situations, and it can keep us from living in the present as we dwell on I could have and/or I should have situations. "A REAL Home Based Business Proven By Thousands - 4 FREE Training Videos - Click Here To Find Out More"
Life coaching often seeks to use the power of reframing a/your perspective. That is, it explores a situation and looks at it from other angles or perspectives. This does not overlook or negate the very real experience or pain that might be associated with regret - but it does look at the opportunities that might be hovering just out of the reach of your current level of understanding or awareness. Regret is a powerful reference point. It helps us understand what is important to us - or what was. It is a learning tool that helps us to develop more awareness and understanding in how we go about living life. It can also teach us about letting go of the past, or to let go of behaviours that no longer fit or suit who we are as human beings as we move through life. It can help us identify the level of gratitude in our lives for people or conditions that in retrospect, we perhaps took for granted or did not fully appreciate. Rather than giving yourself a hard time over what you regret and being consumed or enveloped in the energy of what was, or what might have been, see it as another one of those guideposts along your journey through life. Regret can be used as a positive force in your life. By simply asking yourself a few questions about a regretful situation, you can empower and help yourself move out of the victim mindset or victim consciousness of it. "What did this experience or situation teach me?" "What can I do in future to help me move beyond/transcend this situation, or to stop another similar situation from happening again?" "What do I really regret here, and how can I ensure that I don't let it consume me or overwhelm me in other areas of my life?" "What do I now value about life that I perhaps didn't before?" "What am I really feeling here?" "Am I overthinking or putting too much energy into this situation?" "Is it time to enlist the help of a coach to help me manage and/or move through this?" The questions are only limited by your imagination....and limitations. The key is to see your experience of regret as an opportunity for growth and movement towards the life you want to live. Running away from regret will/may not minimise its impact upon you. Ensure you embrace the opportunities that come with it - when you are ready to do so. Are you struggling or still challenged by, or with, regret in your life? Life Transformation Coaching is a powerful way of helping you reframe your perspective in your life - it can get you living and moving again. If you would like more information, or if you would like to book a coaching session with me, please go to the contact me page on the home page. Craig Hedge is an accredited life coach based in Hobart, Tasmania, Australia, and is author of the Instinctive Living self development book series available on Amazon. Gratitude – The Missing Ingredient In A Healthy Balanced Life? Get FREE access to a full 4-part video series showing you how to build a REAL $10+K PER MONTH business leveraging the power of Amazon. When we think of living healthy balanced lives we often focus on the key areas of physical exercise, healthy eating, and getting a good nights sleep. Thankfully, in recent times more emphasis has been placed upon the other important aspects of mental health, wellbeing, managing stress (resilience is a word often used here to put a positive spin on it..another story for another day) and finding that elusive work life balance. Is the practice of gratitude the missing ingredient and the glue perhaps that can bring this altogether? We place a lot of emphasis on what goes in to our bodies - whether that is food, vitamins, or information. But what about what we project outwards from our bodies and beings? There are plenty of examples of people in our lives who on the surface do all the right things to maintain health - yet somehow they continue to experience health and lifestyle issues. The intention of this article is not to discuss the merits of a great diet or to promote physical exercise (although they are obviously important) - I will leave that to others far more qualified than myself to talk about those things. What I am suggesting though, is that health and wellbeing is much bigger and wider and multi dimensional than diet and exercise. I often speak about making what I call those necessary connections in our own lives. That is, becoming cognisant of those connections that help us become more aware of who we are, and how what we do and think, impacts us, and those around us. So how does gratitude fit in to ensure, and perhaps fortify, a healthy approach and outlook to life? As a contrast lets look at the opposite of gratitude here (for example words and feelings like: pessimism, negativity, selfishness, anxiety, worry, scarcity, poverty consciousness, doom, gloom, etc) and see if this can shed some light on the importance, and indeed the necessity, of acknowledging and practicing gratitude in our lives. It is those feelings and experiences mentioned above that can create a downward spiral that erodes or dents a persons confidence, self worth, and their health and wellbeing. Is there a common denominator here? Generally speaking there is. In simple terms it is an experience that focuses on what is not happening, what is not there, and what is not mine. In other words the focus is on what is not working or evident perhaps. Hardly healthy thoughts or practices wouldn't you agree? Where is the evidence or demonstration of gratitude above for example? It is hard to see or experience life as this wonderful, and at times challenging journey, if we continue to focus on what is not happening to or for us. Gratitude is a way of staying on course and a reminder that our lives, despite our ups and downs, are actually pretty good for the most part....if we choose to focus our attention and awareness onto what is working for us. The gratitude I speak about is not about creating positive thoughts where there are none, nor is it about developing mantras or affirmations (although they can be effective) to overcome or transcend certain situations. Gratitude is about acknowledging what is already evident in your life. It is about being thankful and aware of all of those things that make your life good. These things are real. They exist. This practice of gratitude confirms your awareness of those conditions. So how might you begin to show gratitude, and be grateful in your life, and where might you start? You start at the beginning. Sometimes (and this is particularly valuable if your life is focused on what is not happening or not evident) you start with things that might seem small or insignificant. You need building blocks and foundations to build upon - small instances and experiences of gratitude are powerful. One way you can prepare yourself is to take a look at some of the video/audio programs around that can help you develop your appreciation and gratitude further. That aside, all it takes is an open mind and an intent to see good things and valuable experiences in your life. I give gratitude and thanks for my health. I give thanks for my family. I am thankful for a great job. I am thankful for a good partner. I am grateful for living in a beautiful place. I am grateful that I have great eyesight/hearing/movement. I give thanks and gratitude for my creativity. I give thanks for my ability to adapt to life changes. I give gratitude and thanks for the experiences I have had that have made me the person I am. I am thankful for having the ability and freedom to choose. I am grateful for those things I may not be aware of that are working for me right now in my life.....now we are getting somewhere with practicing gratitude! The above is a small list of things that barely even touch the surface of what you might be grateful for in your life. The key is to start focusing and looking at what is happening in your life, what you do have, what you are managing to achieve - and what you have achieved. It is an appreciation that life and its challenges brings possibilities and opportunities into your life. It is about the wonderful things and people that are in your life. More than that though, it is whatever you choose it to be based on your imagination and experience of yourself and your world. Gratitude is about making those necessary connections in your life where your awareness starts growing and you start appreciating your life and the experiences and conditions you are creating in it. It is real. It is experienced. It is powerful. It is life transforming. And all importantly, it is something you can do in your own life right now. Coaching is a great way to become aware of, and to further develop your appreciation for life and your gratitude. To book a coaching session with me, or to find out more about how coaching with me can help you, simply go to the contact me page on the home page menu. *Craig Hedge is an accredited life coach based in Hobart, Tasmania, Australia. He is also the author of the Instinctive Living self development book series available on Amazon.